Musical Paradise of Alberta, Canada have a simple, winning formula. 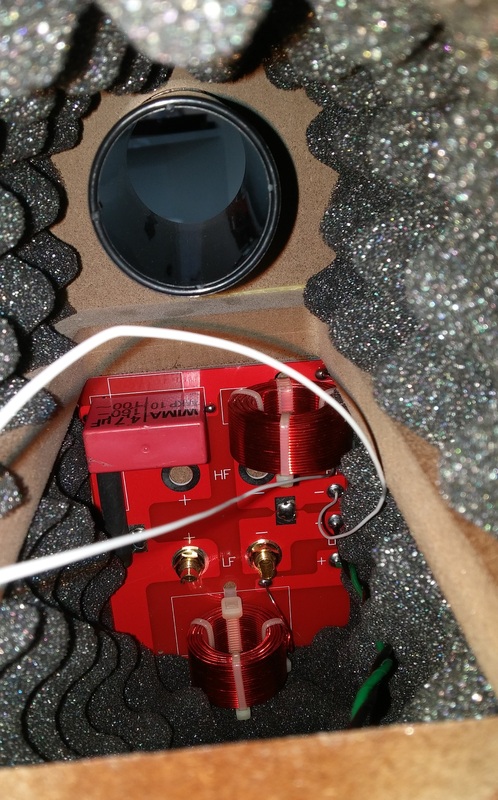 Design your products in North America, for the needs (primarily) of American and Canadian audiophiles. Build them in China, and sell them direct to consumers, offering prices that are simply impossible for your competitors to match. I’ve been super impressed with their MP-301 amp in the past (it was also Tim’s first review for WoS), as well as the MP-P1 phono preamp. Tim also gave the MP-D1 DAC a rave review. One of MP’s most recent offerings is the MP-S1, a ‘classic’ 2-way bookshelf monitor – and it’s their first foray into speakers. When I saw these on MP’s website, I asked for a review pair. 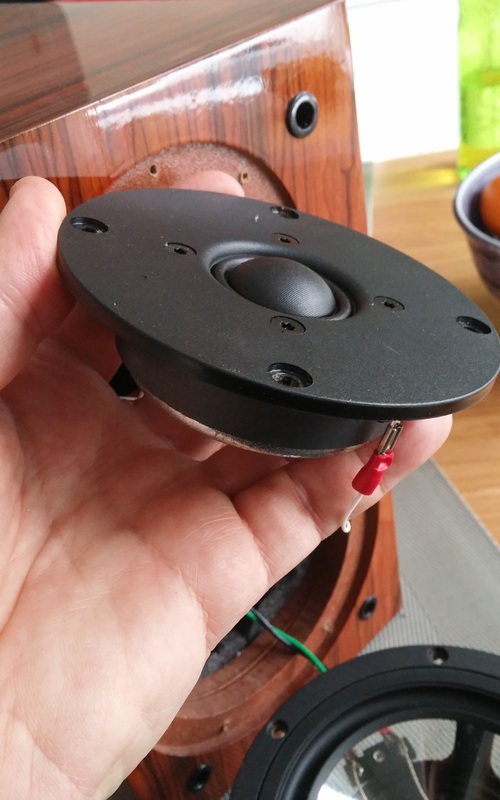 They looked like another great audio value, and what drew me in the description was the notion that these small speakers were also reasonably sensitive. Although rated at 88dB, the amp power recommended is 5-80W. 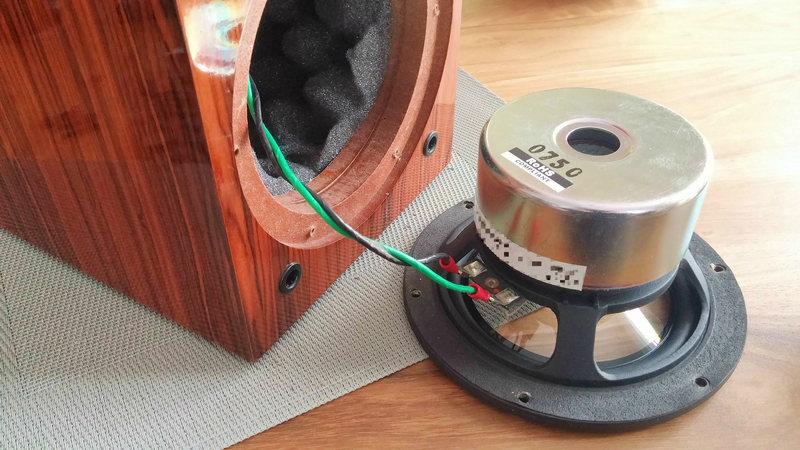 My Elekit 6L6 amp is quite similar to MP’s 6-watt single-ended amp, the MP-301, so…knowing that MP’s ethos veers toward the low-power crowd (like us fools), I thought the speakers would be worth checking out. The S1’s arrived a few days later, sent by air from Hong Kong. They were well packed, with clamshell-style soft/hard foam protecting them. As with other Musical Paradise products, the owners’ manual can only be found online. 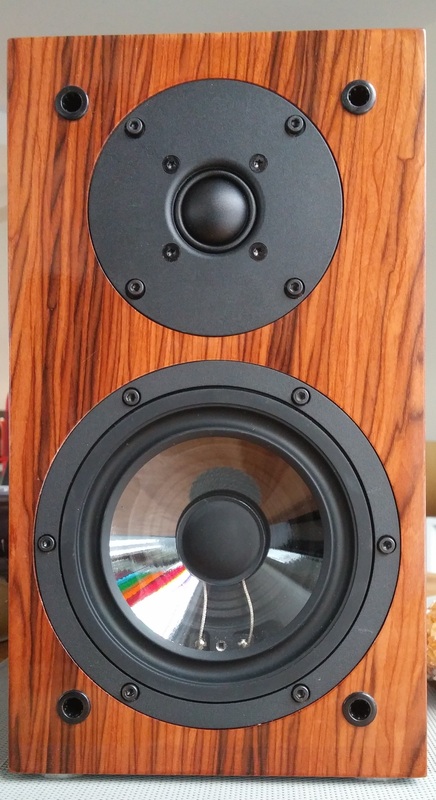 As the reader can see, these are lovely speakers to look at. They’re very solidly built, made with obvious care, and finished very nicely. I would rate the quality of fit and finish very high – not the best I’ve ever seen, but excellent, and well above what you’d likely expect at this price level. For example, the veneer may not be as perfect as the pricier Quad 11L/12L monitor, but the overall build quality is better. I happen to like the glossy cherry veneer, a lot (it reminds me more of rosewood than cherry). No other finishes are currently offered. My wife also affirms the high WAF/SAF. 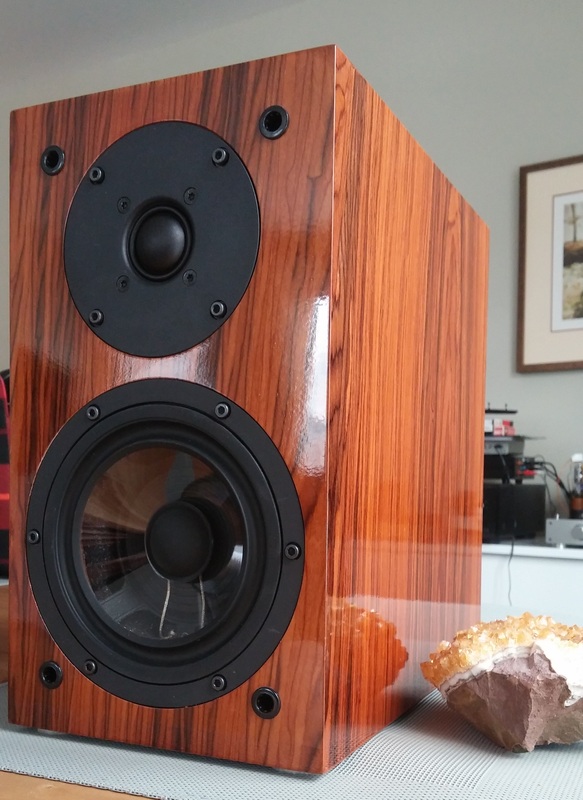 So far, so good – but how do they sound? Honestly, I’ve been blown away by the S1’s performance. They punch far above their weight – and I don’t mean that in a boom-tizz “punchy rock monitor” sense like some others: these speakers play jazz and classical music with finesse, and depth. Even complex music comes across with a coherence and overall smoothness that is very enjoyable. They get so much right, that (for me), their shortcomings are never obvious or detrimental to the music. How Garry Huang can offer these at such a competitive price is really stunning! 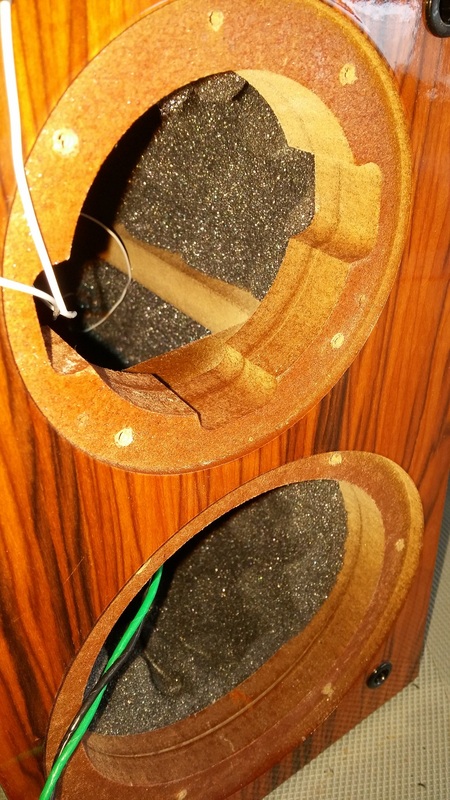 The S1’s are fitted with VA 5.5-inch midbass drivers, and the tweeters are the SEAS H0831 (at retail that’s about $100 worth of tweeters alone). The crossover is a second order design, nicely made and using high-quality, name brand parts. The binding posts are heavy duty audiophile types, and the grille covers are quality, they remind me of the old Proac Tablette. For a peek inside at the parts and labour, see below. The S1 is a substantial monitor – it’s deep, and solid at nearly 25 lbs. But its overall size is still diminutive, and the musical authority it produces is therefore surprising. I mean, sure, if it had a Reference 3A, or Harbeth, or Proac badge, I’d expect it. The S1 has no markings except on the back. It really flies below the radar. My 6-watt amp has no trouble driving the S1’s to satisfying, room-filling levels. Having a crossover, they aren’t quite as amp-friendly as, say, a Reference 3A MM Decapo – but they are pretty close. There’s an ease in their musical presentation that I really enjoy. The mids are sweet and articulate, and the high frequencies are extended and sparkly, without any glare or sizzle. Dynamics are very good for a speaker this size. As far as bass performance, it’s excellent – and I mean excellent across the lower octaves, not just ‘bumped’ for pop music, like so many bass-reflex enclosures are tuned to be. I’ve been enjoying a wide variety of music on the S1’s, and its bass response has not disappointed me yet. One thing to note is that the S1’s do tend to sound a little thin at low volume. I think this is another sign that they aren’t “tuned” for any LF rise. It takes air movement to make bass, and making a midbass driver move air takes power. There’s no substitute for watts. It’s not that the S1’s need a lot of amp power, but they do really ‘wake up’ and come alive at medium and high gain levels. Again, if you want a “rock speaker”, this may not be it. There are plenty out there; they tend to mask their midrange deficiencies with boomy bass and tizzy highs. Not a tradeoff most of us would make. Having said that, we’ve been enjoying plenty of average-recording vocal pop and R&B on the S1’s (e.g. Otis Redding, Adele, Lorde, Lana Del Rey). I find them slightly more natural with the male vocal range, than female, but on pop music I can’t say if that’s a definitive observation. I tend to avoid ‘audiophile vocalists’ these days. Speaking of power. When I moved the speakers to our family room, and connected them to my 85W digital Onkyo A-9555 amp, I was floored at how well they handled movie sound. They have superb coherence on both natural and effects-laden soundtracks. And superb low end extension. Feed them some juice and nothing seems to faze their composure. Guys, I’m talking about using them in a 2.0 context only: no subwoofer. Put the S1’s on some good stands, and you have a very fine pair of transducers for both music and films. Claimed low end response is 45Hz (down 3dB), and I think this isn’t far off the mark. There’s certainly plenty there at 60Hz, which is more bass than a lot of standmounts can deliver. So while I’ve enjoyed the S1’s on a low-watt tube diet for the most part, and I think many buyers will do the same, I decided I should also spend some time with them in my usual listening area, but driven by the Onkyo amp. Well, the Onkyo is a nice sounding amp, but despite appreciating the extra power, the MP-S1’s showed the amp’s sonic limitations when it came to playing music. I can say the same for sources: the S1 is a fairly revealing speaker. It isn’t overly forgiving of crappy music files, or cheap front end components. So if these are part of a beginner system, I think the partnering gear needs to be chosen well, otherwise the speakers could be “too good” (too revealing). I haven’t had a chance to use the S1’s with a push-pull tube amp in the 25-30w range yet. That might just be the sweet spot. My first criteria for awarding our Gold Star is that it should be an afterthought, not a deliberation. This is certainly the case here: it’s a no brainer. The S1 is a brilliant value, in an audio market that tends to be crowded with pricey offerings. If you’re looking for the ultimate standmount, I’d suggest Reference 3A, or maybe Harbeth. Of course, be prepared to spend many thousands of dollars. 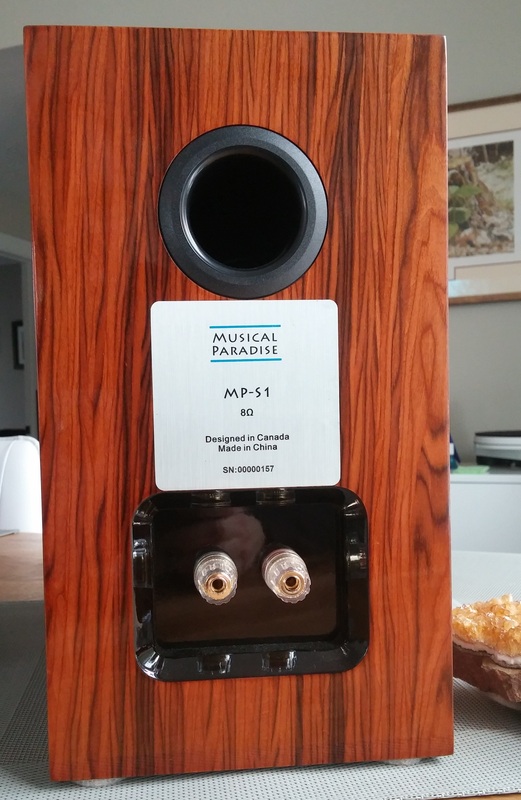 For those of us on a tight budget looking for a taste of the high end, the Musical Paradise MP-S1 is an absolutely delightful speaker, and one that can reveal the improvements in your system as you upgrade – not force you into changing speakers. I can pretty much guarantee you won’t be disappointed. I love mine, and they aren’t going anywhere. How would these work in a near field desk top setup? They should work ok, being rear-ported. But it might be to some extent a waste of their capabilities. These speakers can really fill a room, and note my caveats about using high quality sources and amplification. I own these speakers for around 6 months now. They are very revealing and need to be matched with smoooth sounding equipments and cables. I drive them with Musical Paradise MP-301 Mk3 amp fed Musical Paradise MP-D1 Dac. In my system, they sound best with 5693 driver tubes and EL34 power tubes. The listening room need to be considered as well. They sound worst on bare or untreated walls and floors. Soundstaging is depended on speaker placement and room treatment. Can you please confirm if that price of $399 USD is for one speaker or for a pair? Hi Rob, that’s the price for a pair. 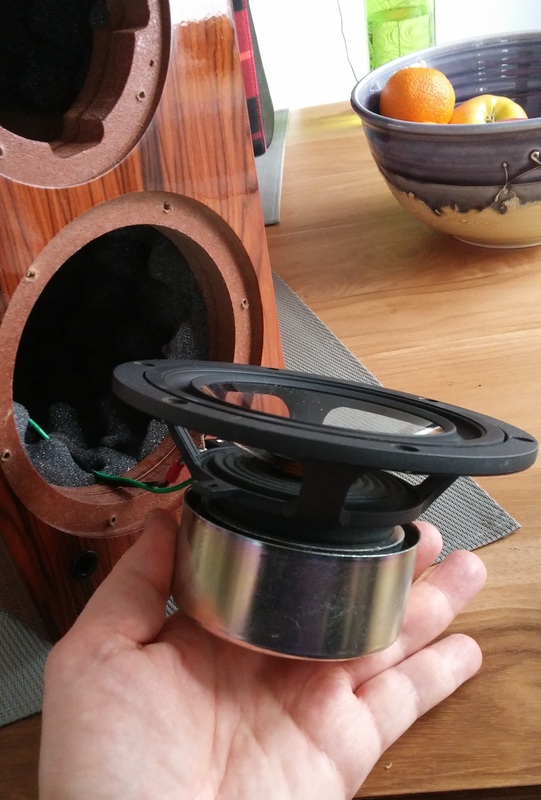 Each speaker is 15.4 Lbs…Not 25 Lbs. Looks like a great deal. What I’m looking for is a nice wide 3D soundstage. What do these compare to? How would you describe the soundstage? Price drop yesterday – maybe a MKIII is coming! I haven’t heard them in the same room or with the same amp. The Harbeths may be more accomplished, but they’ll need more power to drive them properly. The MP’s can perform well with a low-power tube amp. Also,how do u find the timbre accuracy? Tys for the reply and one last question , which VA model carries the same woofer? It would be an older monitor e.g. Haydn Grand or similar. I don’t have any official info on this, sorry. Lol. Seriously ? At that price, I’d be happy that it makes sounds ! 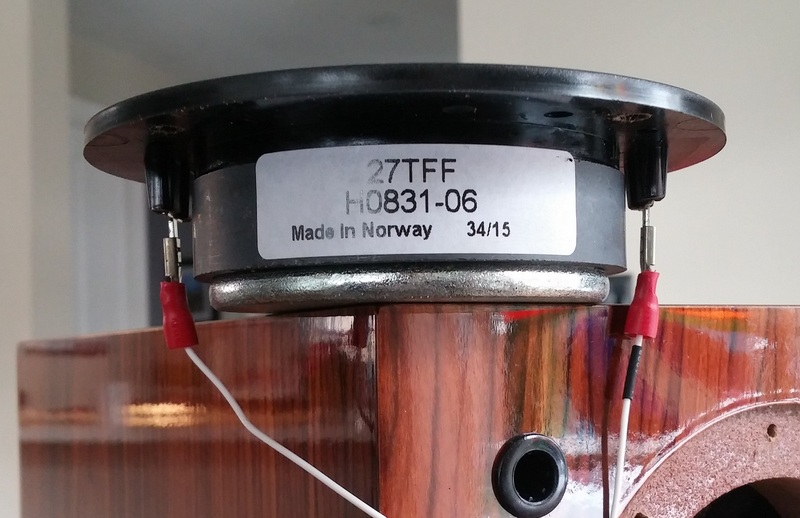 It certainly appears that the cabinet/box/enclosure is a ‘damped’ design (perhaps even so-called ‘over-damped’ alignment), as opposed to so many entry-level priced models using an under-damped configuration -for that “loosey-goosey” bass hump novice listener’s prefer -as the author correctly points out. It’s therefore somewhat surprising to hear that this speaker may be considered a bit on the ‘warm-side’ of neutral ? In any case, at this price point, it clearly represents excellent value -using quality parts. If a reader can recommend a $520./pair (CA$) that competes -let it be known ! lol. Seriously.